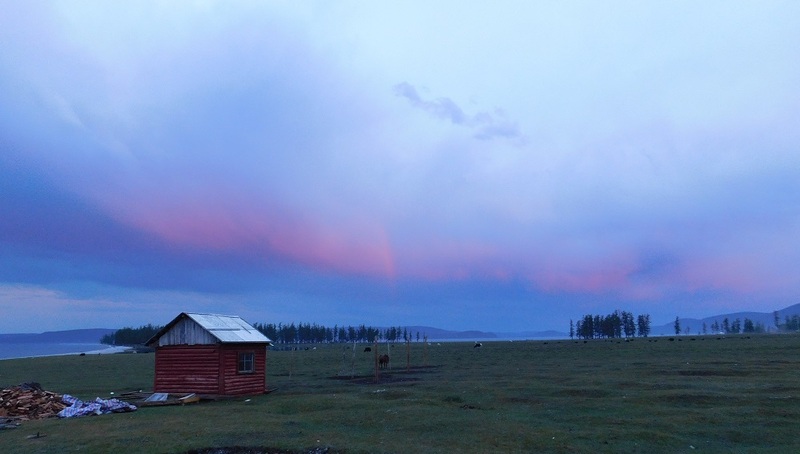 Back home from my epic adventure to Mongolia. Almost 20,000 miles round trip traveled by car, by plane, by car, 200 miles on horseback over 12 days, more car, more plane and more car. 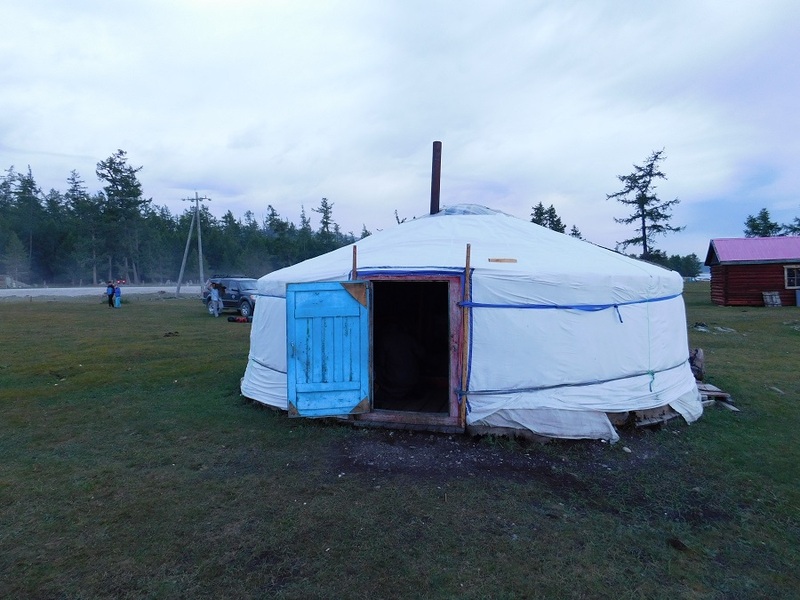 All just to see the Tsaatan, the last of the nomadic reindeer herding culture just 10 miles from Siberia. Was it worth it? Oh my God yes! Cancelled flight, lost baggage (Lorna’s bag, mistagged with my bag tag which made for a claims mess), shopping to outfit Lorna, overheating car ride in Nadaam traffic. We rode along the beautiful Lake Khovsgul, crossed rivers, vast Mongolian Steppes, sand pits, forests, miles of bogs, mountain tops, tundra. We endured record heat, wind and rain, epic hail, lighting, frost and icy cold nights. It was the stuff of which memories are made. It was an EPIC adventure. 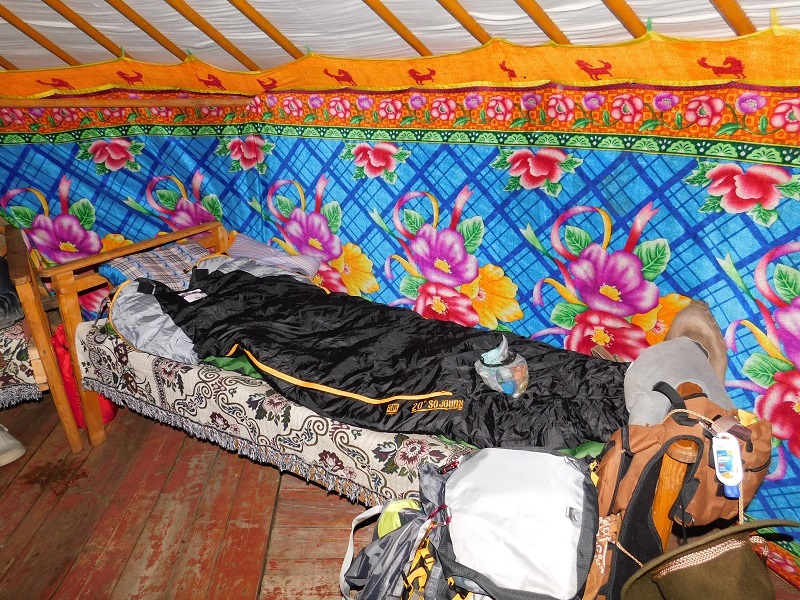 After finally arriving in Ulaan Bataar (UB from hereon) and only getting 4 hours of sleep, it was time to meet the rest of the trekkers and head to the Nadaam. Having missed the opening ceremonies, wrestling, archery and other important events in this grand national celebration, we were anxious to see the premier event…horse racing. The grounds were in the vast countryside & cars were parked in every direction as far as you could see. We hustled off to the horse race that had already begun. 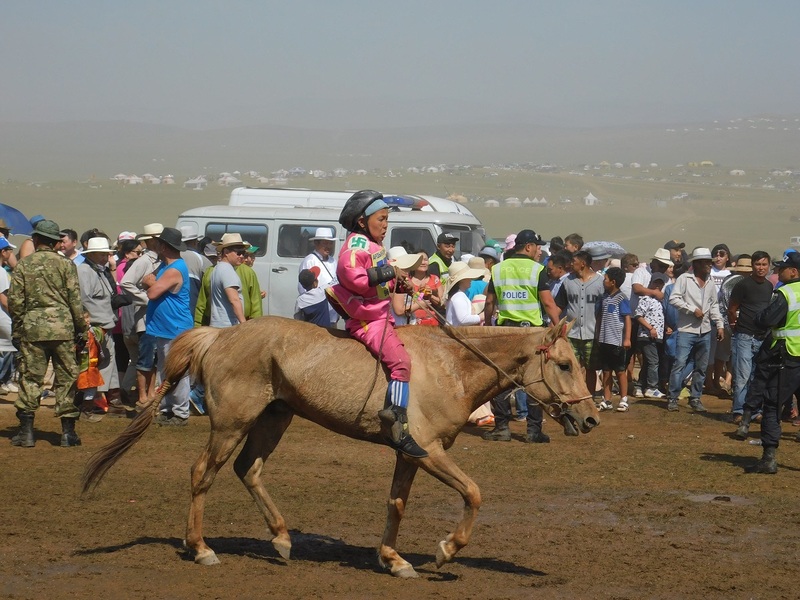 The race is 32 km long across the countryside jockeyed by 5-13 year olds. 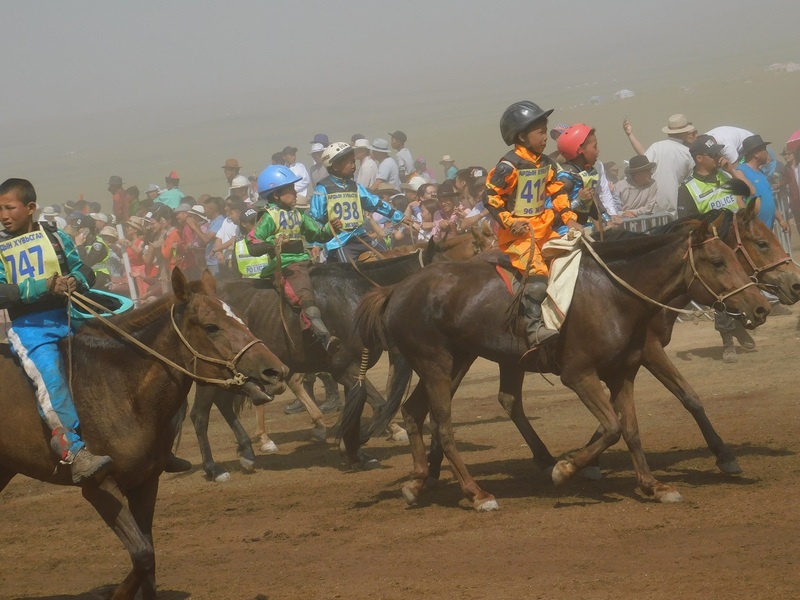 Upon crossing the finish line, it is considered lucky to touch the race horses. 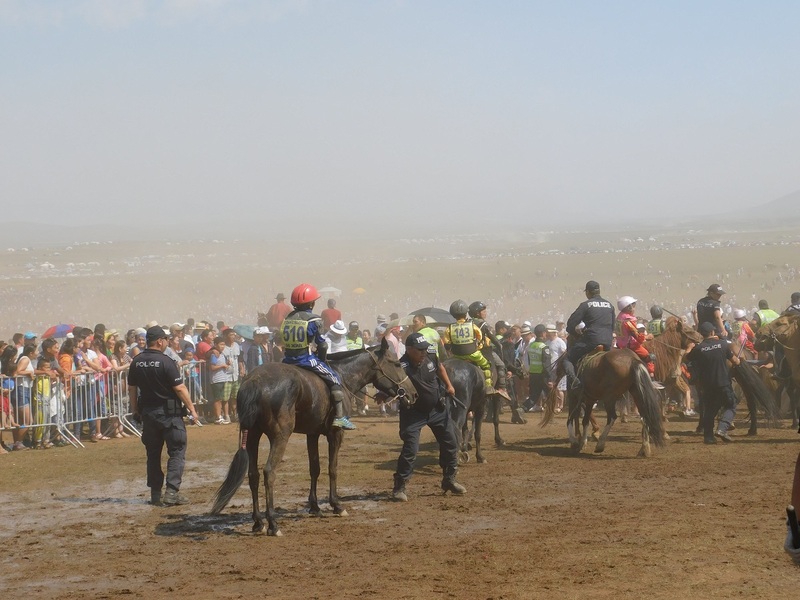 As people rushed the horses, water cannons, night sticks and tasers were used to control the crowd. We tested our skills at archery. 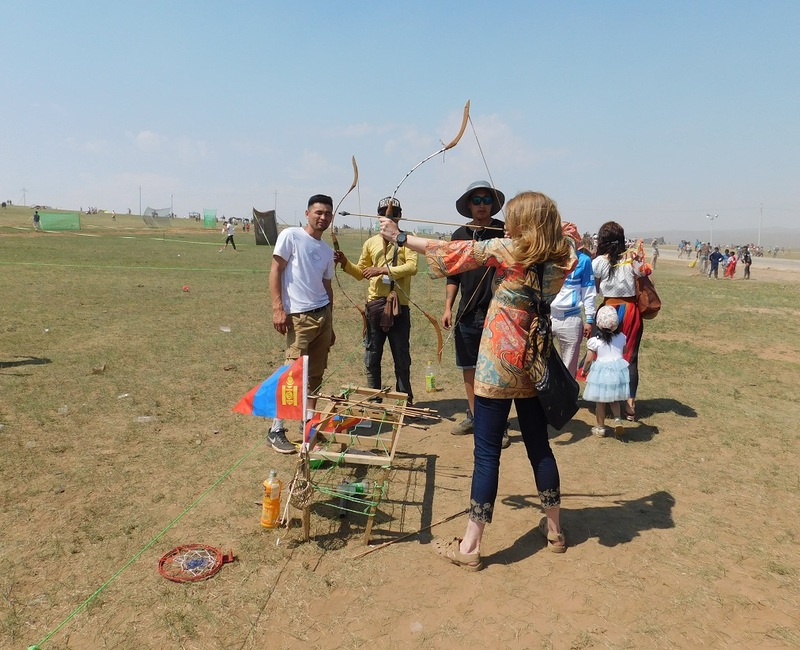 I did not actually hit the target, but I was close….I suppose that would not really help much in hunting or at war. 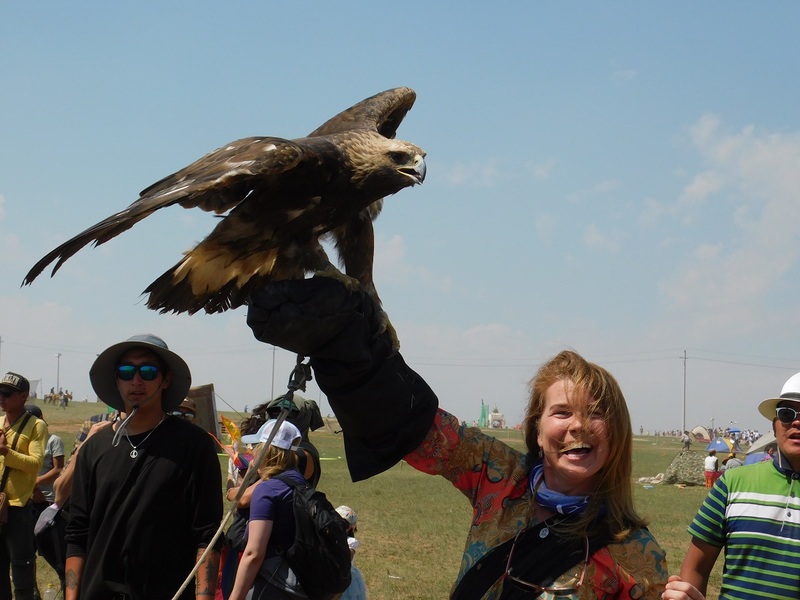 Holding the Golden Eagle used for hunting was a thrill! Many of the people dressed to the nines. Much like people would dress up for the Kentucky Derby. Later that evening we headed back to the airport to see if the bag had arrived. Nope. Still stuck in Tokyo…thanks American Airlines (sarcasm).We are eternally grateful(actual gratitude) to sis-in-law Stef who worked tirelessly on our behalf to get the bag moving. We were leaving in the morning for the trek, so we began to formulate plan B. I had plenty of provisions, so it was easy to split it up. 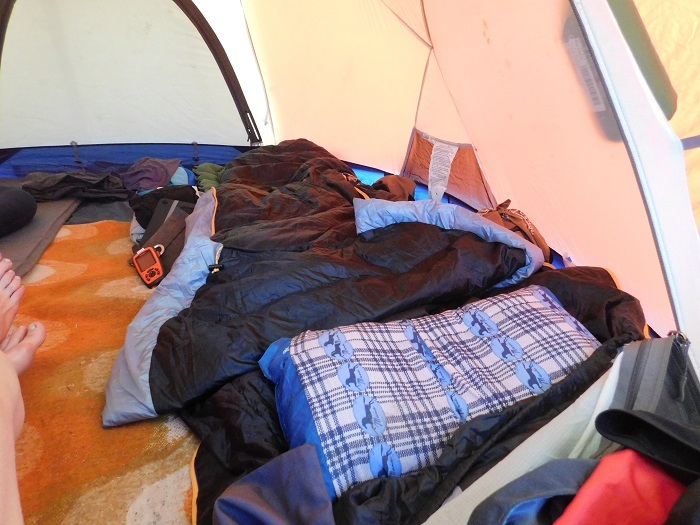 We let Julie Veloo know our conundrum, so she began working on her end to locate gear (sleeping bag) for Lorna to borrow. We’ve got this. If anyone can handle it without complaint, it is Lorna...Champion Trekker! Borrowed gear, & dry bags. Off to the State Department Store to buy boots. Proper footwear is a must! 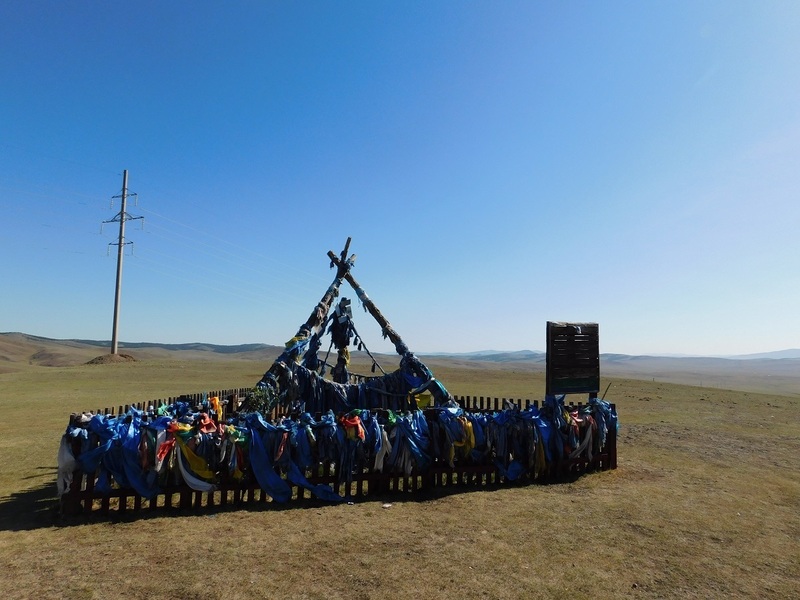 All set, after distributing the Horse Trek Mongolia Manes and Deels (pronounced dell, which is a traditional Mongolian Coat) from Julie to each of the trekkers, now on to the car ride to Lake Khovsgul. As we left UB, the vast wide open Steppes left me in awe. Herd after herd of horses as far as the eye could see. The landscape was dotted with Gers (yurt). Every door facing south. Villages were colorful with roofs of every imaginable hue. 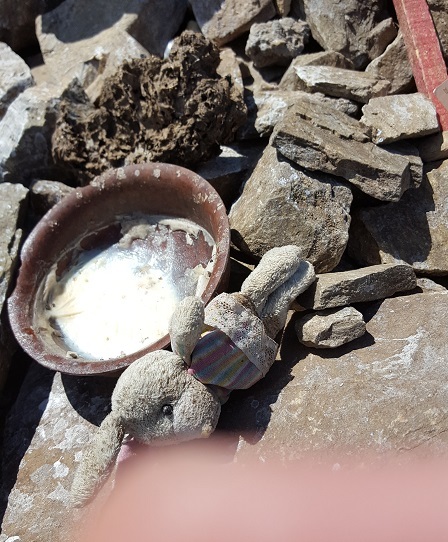 Every few miles we would pass a Shaman Prayer Shrine. Where people would leave things meaningful to them. Since it was Nadaam Festival, most had vacation time from their work. 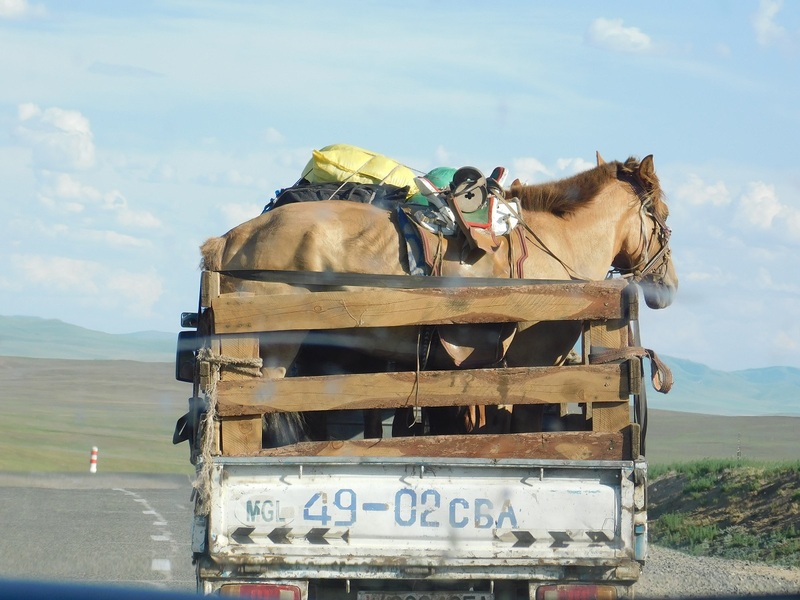 The roads were crowded with vacationers and trucks with horses, they are not equipped for traffic. This was a 2 lane road, no shoulder, very few road signs and many impatient drivers. Soon we were at our campsite. 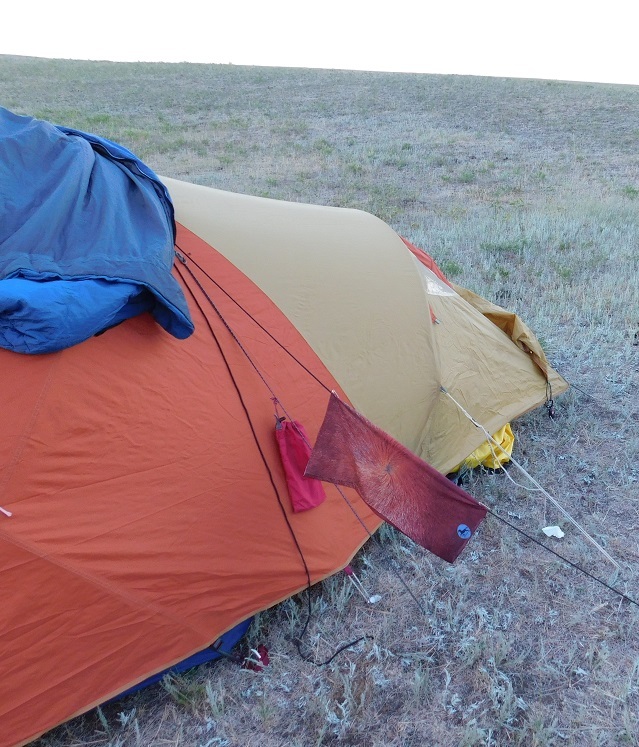 That’s a beautiful thing in Mongolia, if it’s time to stop driving or riding, you can just pitch a tent anywhere! Look 2 new uses for the Mane! We flew our Whorl flag proudly! The plaid Mane made a GREAT pillow case! After breakfast the next morning, we got back on the road anxious to get to the lake. Finally, there it was. Miles of water. So big, the Mongolians call it the ocean. No tents needed this night, we got to stay in the ger! Off to bed early… our trek begins the next day! Stay tuned for the Ride to the Reindeer!